The Return of Marvels WHAT IF? Hello all, Mad Dashiell here and thanks for joining me today. Marvel comic fans should rejoice at the sound of 'WHAT IF?' hitting the shelves soon! Marvel's 'WHAT IF?' line explored unique paths that characters would have taken had they made different choices. This was before "Elseworlds", it was fun, fresh, and felt original. The stories were so good at times that It was sometimes disappointing knowing this alternate string theory of your favorite character's won't continue. With that, the writers had lot's of freedom to explore ideas ranging from pretty cool to downright wacky. The new sequence of issues will follow the original formula as one-shots. There will be Six Marvel characters and narratives turned on their heads. Spider-Man, Magik, Ghost Rider, Thor, the X-Men, and the Punisher each will be reimagined this October. "What If something else happened? What If an event—poised on a knife-edge—fell in the other direction? What If the Marvel Universe was…different? These are the questions posed, explored, and brought to their dramatic, reality-defying conclusions in the legendary Marvel What If books—and this fall, they return!" This not so friendly neighborhood brings great power and great punishment! 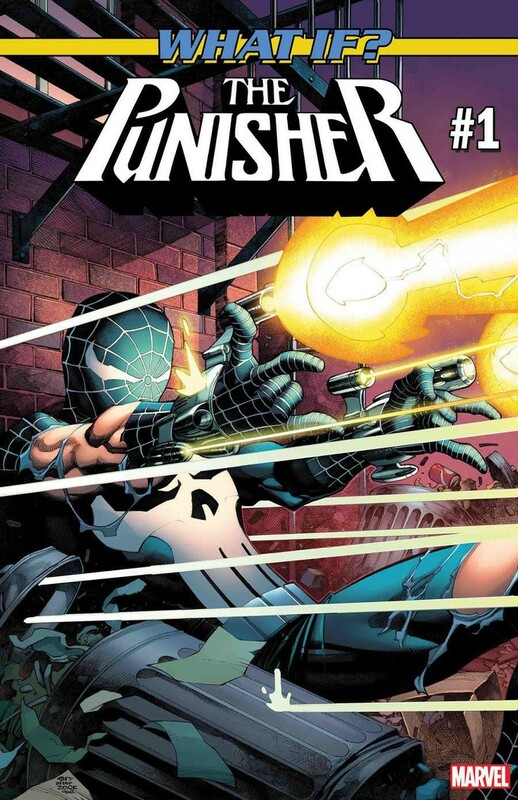 "PUNISHER and SPIDER-MAN are two very, very different characters, but could they be two sides of the same coin?” asked editor Mark Basso. “They’re fueled by different philosophies and use different methods, but how many kicks to the other side does it take to turn a Peter Parker into THE PUNISHER!? "Written by Carl Potts with art by Juanan Ramirez and a cover by Christopher Stevens, WHAT IF? THE PUNISHER #1 hits on October 10. When Peter Parker’s Uncle Ben is ruthlessly killed by a burglar that Peter let escape, he vows to never let the same fate befall another innocent bystander. From then on, he stands as a figure of cold retribution. Criminals beware – the guilty caught in this spider’s web will be punished. But will Parker stand triumphant…or shattered by this twist of fate?" Writer Leah Williams, artist Filipe Andrade, and cover art by Jeff Dekal, Illyana Rasputin transcends alternate realities this Hallows Eve, October 31. 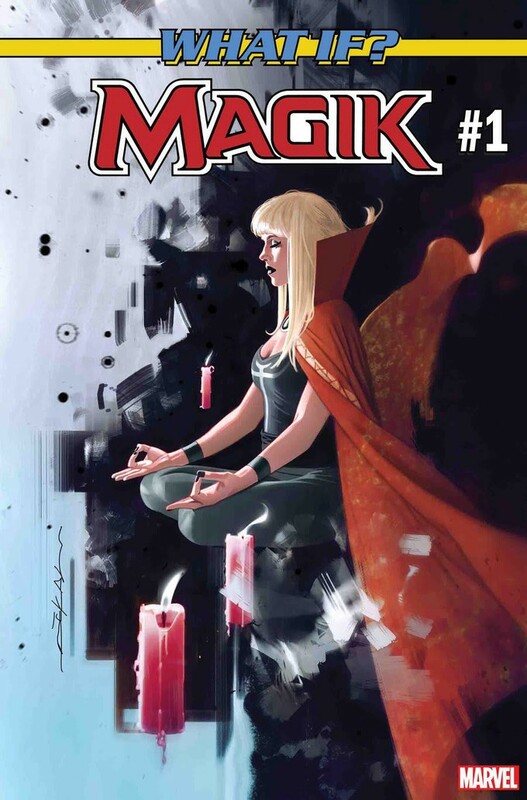 Before she became Magik, Illyana wants nothing to do with the X-Men or Hellfire Club in this story and instead choosing to find her own mystical path. With writer Sebastian Griner, artist Caspar Wijngaard, and cover artist Aleksi Briclot present WHAT IF? GHOST RIDER #1. Sebastian Girner and Caspar Wijngaard bring forth the dark tale of a Nordic black metal band on tour through Marvel Universe. 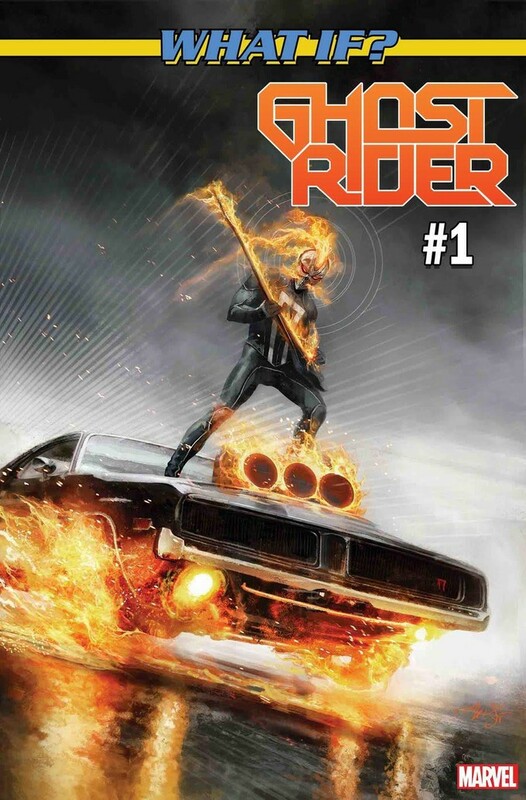 Ghost Rider Robbie Reyes looks to be playing the lead on a souped-up ride from hell, that isn't a motorcycle this time... The hell ride spawns this October 17. “Before you read this comic, you’re going to need THREE things, friends. ONE: an extra pair of pants. TWO: some kind of eyeball apparatus designed to keep your eyeballs INSIDE your head. THREE: your mom on speed-dial. We are serving you pants-off and eyeballs-out levels of horror and shock, and if ANYONE has a chance to call you back from the ledge of insanity that this comic will lift you to, then ABANDON you upon, it’s your momma. If she’s read it first, you can hold hands on your way DOWN INTO THE ABYSS!” said Editor Kathleen Wisneski. This seems like a plot twist worthy of the God of mischief himself. It's Written by Ethan Sacks, with art by Michele Bandini, and a rip-snorting cover by Marco Checchetto. The alternate Odinson experience begins on October 24. 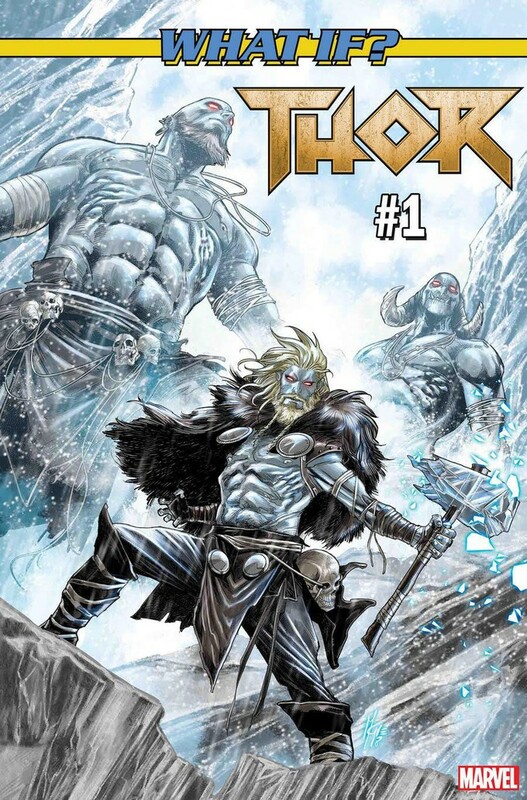 In this dimension, young Thor’s father falls before the king of Ice Giants, and everything is forever changed. Fallen from Asgard to be raised in a brutal world of neverending winter in Jotenheim. We shall see how Loki, feels about his new stepbrother? This October 3, Bryan Edward Hill writer, with art done by Neil Edwards, and Giannis Milonogiannis, and with cover art by Rahzzah herald WHAT IF? X-MEN #1. 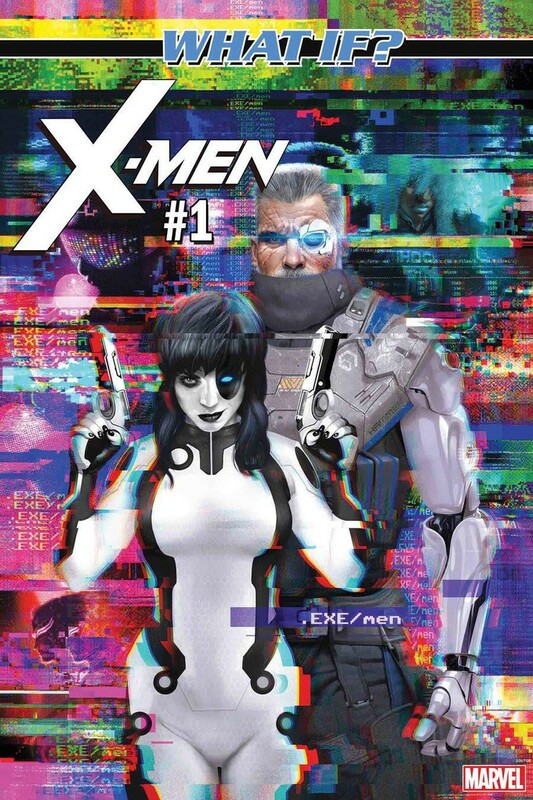 OLD MAN LOGAN and HOUSE OF M…Publishers deliver the X-Men as you never dreamed! Charles Xavier and his EXE/men are banned and driven underground. The 'Free-roamers' u/Domino and u/Cable take dirty jobs but what was supposed to be a simple scrub gig goes awry, bio-mod magnate Erik Lehnsherr life hangs in the balance, and with, society. Welcome to the EXE/scape! Heads up web-heads! Writer Gerry Conway teams with art by Diego Olortegui and cover art by Patch Zircher. Here we have a new question explored in the Spidey-Verse… What if Peter Parker wasn’t the person who receives the radioactive spider bite? What if that person was a narcissistic, egotistical bully who was only interested is looking out for himself? 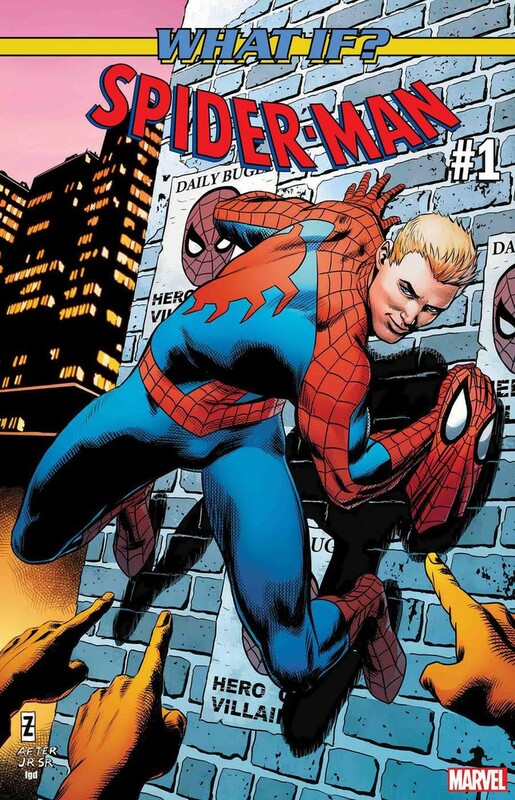 What if…Flash Thompson became Spider-Man?! Well, Find out this October 3rd! MDs Space For Rant- When you say the word What If in the context of old Marvel you will usually see some card-carrying fanboys light up and start to reminisce over favorite issues. I used to sit with these in a pile and re-read them. I'll be looking forward to snapping these up. I'll talk about these more after they hit the shelves. Personally, the one I remember reading until it fell apart was 'WHAT IF? 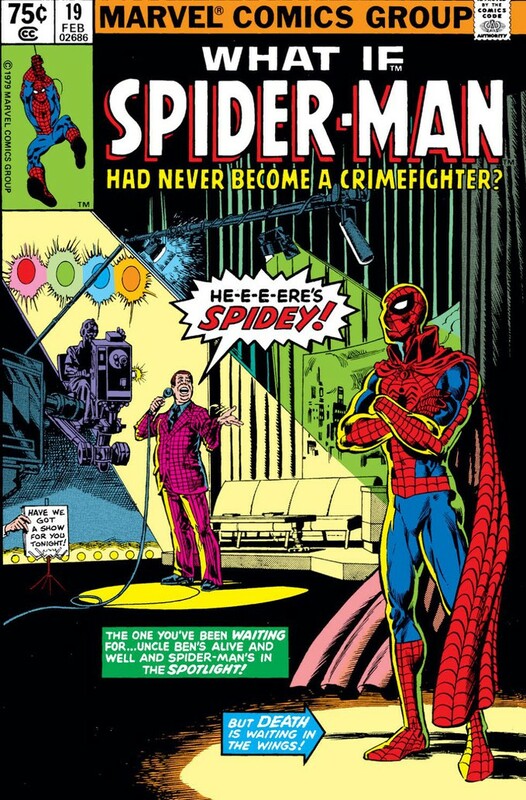 Spiderman Had Never Become A Crimefighter'. Tell me what your favorite issue of WHAT IF? was in the comments below. -Thanks for joining me comic fans, Mad Dashiell signing off.